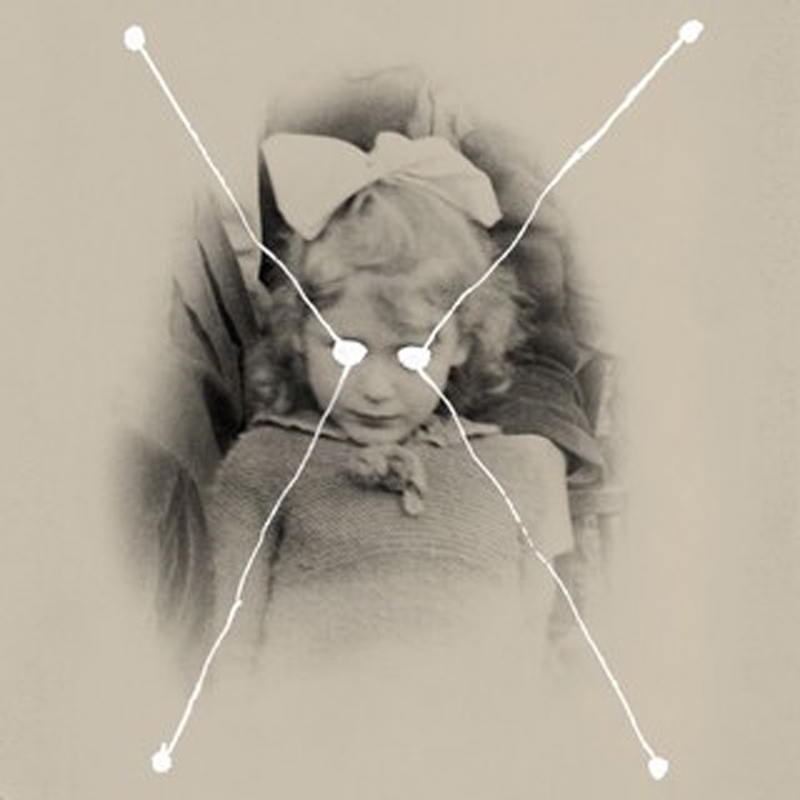 Brainwashed - Current 93, "The Light Is Leaving Us All"
Current 93, "The Light Is Leaving Us All"
This long-gestating new release from David Tibet and his shifting orbit of collaborators is an unexpected late-career throwback to the dazzling and immersive epics of Current 93's golden age. In Tibet's parlance, it is common for recordings and performances to be described as "channelings" and that seems especially appropriate for The Light Is Leaving Us All, which at times feels like it effortlessly transcends time and space and dissolves reality to open a fleeting portal into an alternate world swirling with unknowable mystery, unearthly beauty, and ineffable sadness. At its best, this album feels like a motley and wild-eyed caravan of minstrels, actors, and puppeteers unexpectedly appeared in a medieval town to share a vividly haunting, hallucinatory, and deeply eschatological fairy tale that will be the last thing that any of the villagers ever hear. The Light Is Leaving Us All made its debut as a rapturous multimedia performance in London earlier this fall with Tibet’s impressionistic and achingly sad tale of witches and vanishing light backed by a series of slow-moving films by Davide Pepe. While there were occasion appearances from a mysterious red silhouette (the witches) and allusions to a glowing red barn, the bulk of the imagery was a series of antique sepia-toned portraits of families in which everyone’s eyes were replaced by trails of white that slowly oozed to the edges of the frame. it was a genuinely unsettling series of images that very effectively represents the album's tone of loss mingled with something ambiguously transcendent. Enigmatic ambiguity is a big theme in general, actually. For example, the witches clearly seem to be the tragic, beautiful martyrs of the tale, but it is quite hard to piece together much else from the fragmented narrative, which is purposely elusive, enigmatic, and pregnant with cryptic allusions. Also, the narrative features quite a wonderfully disorienting and colorful swirl of characters and events: in just "The Policeman’s Dead" alone, it is divulged that the policeman, the surgeon, a young girl, and the murderer are all dead (and the moon is drunk). Notably, that is the first real song on the album and it is one of the two (or possibly three) instant classics to be found, as Alasdair Roberts' lovely and hypnotically repeating classical guitar figure steadily accumulates intensity until it resembles some kind of ritualistic medieval procession. The entirety of the album is quite good in general though, as every piece feels like an essential deepening of both the spell and the bittersweet mystery of the narrative. Naturally, Tibet is in peak form lyrically and the band’s temporally dislocated and lovely music is lysergically and disturbingly enhanced by the masterful hand of Andrew Liles, but there are a still few pieces that unavoidably eclipse their surroundings. The most striking one by a landslide is "A Thousand Witches," as its sadly lilting melody and swaying rhythm provides a gorgeous and devastating backdrop for Tibet’s tender recitation of names and allusions to "two thousand eyes in the carnival sky." Experiencing it live was a borderline religious experience for me and it does not lose much power at all in its recorded form, as it brings all of the sublime details into focus that help make it such a jaw-droppingly beautiful and timeless piece: the strange and lurching percussion, Aloma Ruiz Boada's swooning violin melodies, Reinier van Houdt’s subtly lovely augmentations of the simple chord progression, Michael York's mournfully beautiful flutes and bagpipes, the chorus of chirping birds–every single thread converges to absolutely floor me. It feels almost too pure and perfect to have emerged from our world, but it is far from the first time that Tibet's work has affected me that way and it likely will not be the last. Moments like "A Thousand Witches" are exactly why I have remained an unwaveringly devoted Current 93 fan throughout more than two decades of my evolving taste. The other significant bombshell on the album is "The Postman Is Singing," which has the riff structure of a doom-metal dirge, but inventively dispenses with distortion (mostly) to unleash a slow-building firestorm of militantly jangling clean guitars and an ascending cacophony of darkly blossoming strings and throbbing electronics. It is a truly glorious and infernal racket of squealing and shivering strings by the time it finally winds down. Aside from that, I would be remiss if I did not mention "The Bench and the Fetch," which diverges from the escalating darkness of the album as an unexpected oasis of nakedly pretty and sincere '70s-style folk that perversely suits the album perfectly. The only significant way that The Light Is Leaving Us All falls a bit short of past career-defining masterworks like All The Pretty Horses or Black Ships Ate The Sky is the slightly reduced frequency of absolutely revelatory individual songs. As a complete artistic statement, however, it is hard to imagine this album being any more absorbing or cumulatively powerful, as it perfectly unfolds like a darkly entrancing folktale that seethes and swirls with so much mystery, depth, poetry, and hidden meaning that I feel like I have barely scratched the surface of its emotional and philosophical core. Moreoever, Current 93's work has always found multiple ways to ambush me with something unexpectedly striking or emotionally resonant. For the most part, the melodies themselves are instantly graspable and tend to establish my early favorite moments, but appreciating the full depth of the lyrics or the intricacies of the arrangements is another story altogether that ensures that I will find secret new pleasures for months to come. I definitely do not expect to tire of this album anytime soon. I suspect I will never unravel exactly what Tibet was trying to say with this album, as it is so willfully enigmatic and open-ended, but it would be a reductive mistake to read the album as a timely and fable-like elegy for the end of the world, even if it would be a completely fitting one. Perhaps it is merely the elegy for a particularly dark chapter (the one starring us), as Tibet makes it quite clear that all of the lost light will ultimately fill the night sky and that the birds never stop sweetly singing.